Regarded as one of Britain's most attractive cities, Bailbrook House Hotel is the perfect base to explore all that Bath has to offer. Nestled in the Avon Valley between the Cotswolds and the Mendip Hills in the county of Somerset, Bath is 97 miles west of London and 11 miles southeast of Bristol. Its honey-coloured local stone has been used extensively in the town’s architecture, but it is perhaps more well-known for the archaeological wonder from which it takes its name - the 2000-year-old Roman Baths. Some 500 of the city's buildings are considered of historical or architectural importance, so much so in fact, that Bath was granted World Heritage Site status in 1987, one of only a handful of such locations to enjoy such status in the UK. As well as the ancient hot springs, some of the other top attractions include the Building of Bath Collection – a museum that demonstrates how classical design influenced the architecture. 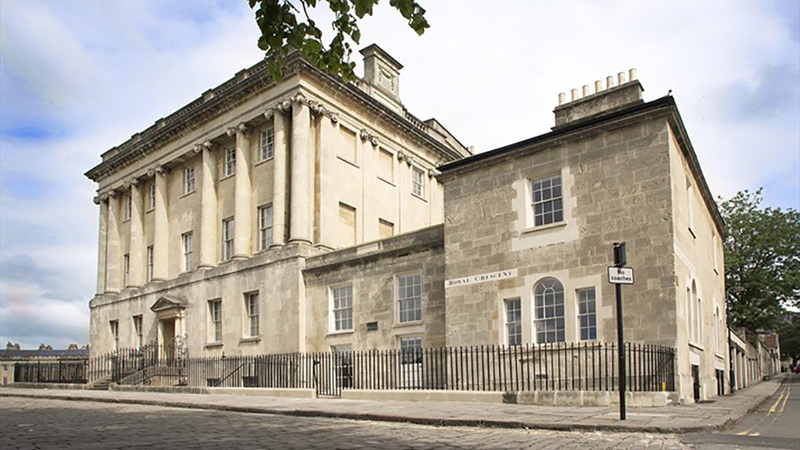 Did you know that Bath has more museums in a square mile than any other English city, and while the Holburne Museum and the Fashion Museum are well worth a visit, be sure to walk Bath's splendid streetscapes. The northwest section of the city in particular is where most of the best examples of peerless Georgian town houses can be found – from Queen Square and Gay Street to the famous Royal Crescent. The Bath Abbey – a spectacular Gothic cathedral, the glorious Assembly Rooms and the historic Theatre Royal – beautifully refurbished in 2010 and offering a year-round programme of top-quality drama, are other great excuses to visit Bath. Then there is the Royal Victoria Park that spreads over 57 acres and includes a beautiful botanic garden and one of the biggest and best children’s playgrounds you will find anywhere. If you are looking for something more gentle the Prior Park Landscape Garden, in part designed by Capability Brown and Alexander Pope, is a woodland-flanked valley that sits above a rare example of a Palladian bridge and offers spectacular views across the city. Better still, a two-hour session in the naturally warm, mineral-rich waters of the open-air rooftop pool and indoor Minerva Bath at Thermae Bath Spa will be sure to help you unwind. Making sure you have got the right accommodation can really be the icing on the cake for that special visit to Bath, so what better than returning after a busy day exploring the city, than relaxing in the stunning surroundings of Bailbrook House. Just a 30 minute walk from the centre of Bath, the Grade II listed hotel boasts an array of individually styled feature bedrooms, lounges, fine dining restaurant and conservatory bar and lounge. Whether you are after a romantic short break or a fun family holiday from your Bath getaway, choose Bailbrook House Hotel.